If you don't already use Mixer, you might want to give it a try. If you spend most of your time streaming games or other content on Twitch, you might want to consider giving Mixer a try. As of its Season 2 initiative, there are several intriguing features that look quite promising. 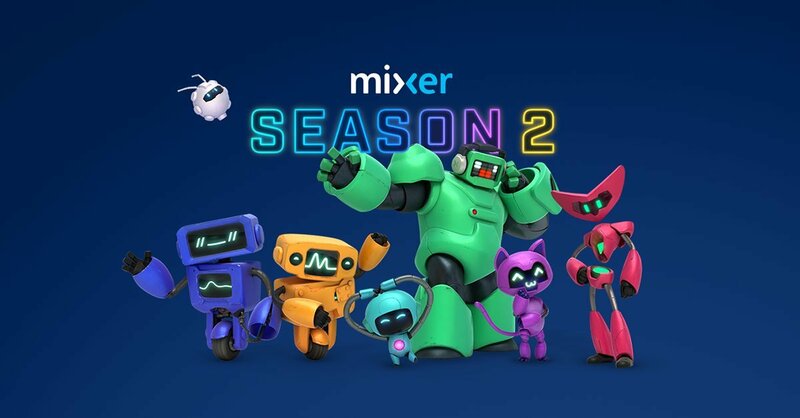 In a new announcement posted to the official Mixer blog, Microsoft announced Mixer Season 2, which "reflects the living, breathing nature of Mixer" with new experiences for users to try. One of the newest additions to the service is Skills, a way for viewers to participate in streams beyond typing messages. Effects like confetti or fireworks will launch into the stream, and you can use GIFs if you choose as well. Every time you use a Skill on a partnered channel, it will support the streamer financially as well. Additionally, now you can support streamers by way of Sparks, which are a new type of currency that you can earn by watching streams. You can spend them on Skills and help streamers reach real money payouts by doing this. If you prefer to use real money, you can use Mixer Embers, Mixer's new virtual currency that lets you purchase it with real money so you can buy better Skills. They're a better vision than Sparks, essentially. Beyond new currencies, there's also Mixer progression coming soon, which lets you display how much you've been doing for and with your community as a viewer, and raise your level to show everyone on your profile. Unlocks like special titles, profile images, and more will be on offer. Check out the official Mixer page for more details, and see if you enjoy what you see when you do your next gaming stream there. why does a streaming service have seasons?